Dull knives don't just mangle fruits and vegetables. They also pose a threat to your fingers as their blades slip off of rinds, causing cuts and puncture wounds. The Xtrem KiT Knife Sharpener keeps your paring knives, steak knives and other cutlery sharp and ready to slice through French breads, filet mignon and fruits of all shapes and sizes. 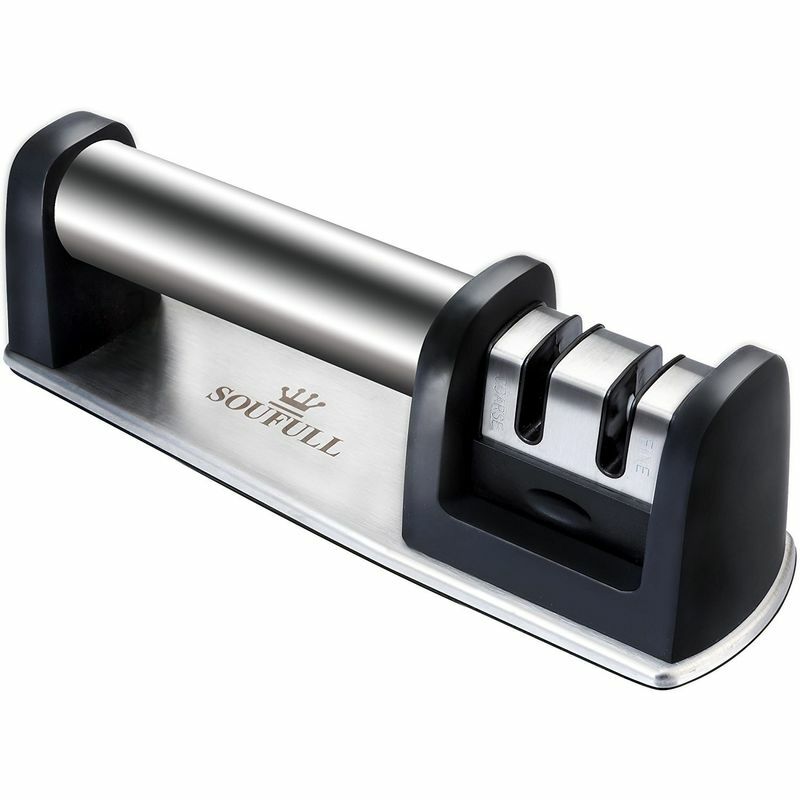 Our premium 2-stage knife sharpener features a rustproof stainless steel exterior and a revolutionary reversible grinder head that allows both right- and left-handed sharpening. Unlike sharpeners that have diamond grinding rods that wear out after a few uses, the Xtrem KiT Sharpener features tungsten and ceramic grinders deliver more sharpening cycles without needing replaced. 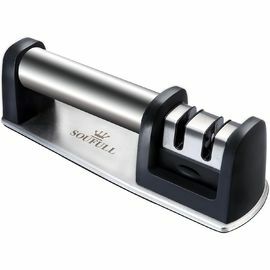 This essential kitchen accessory saves you money on professional knife sharpening, and helps you get more life from your most trusted kitchen tools. Our handheld sharpener has an ergonomic handle and non-slip rubber base for greater stability during use. Hone your straight and non-serrated kitchen knives, as well as other knives with confidence when you use the Xtrem KiT Sharpener. 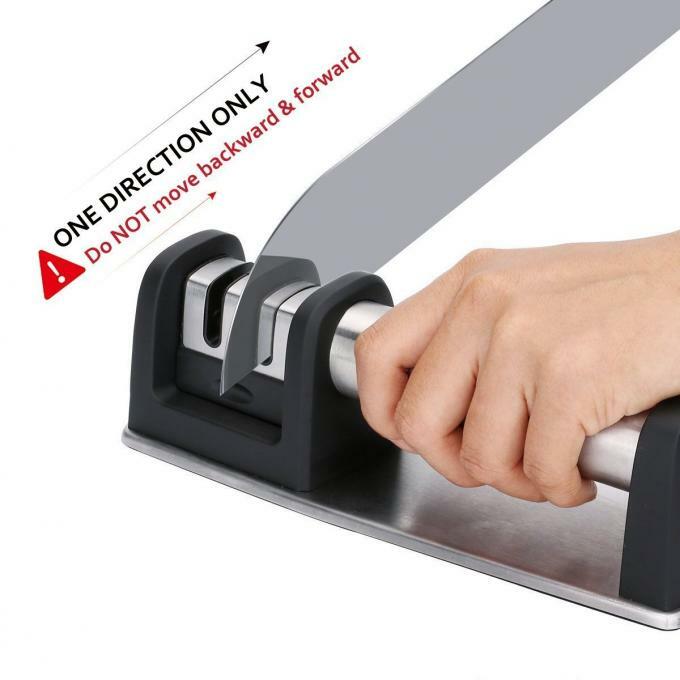 Then use our complimentary stainless steel finger guard to protect your hands when you put your restored knives to use making delicious meals in your home kitchen. Buy 1 of our elegant sharpeners for yourself, or give it as a thoughtful housewarming or wedding gift. Keep your meal prep skills razor-sharp. 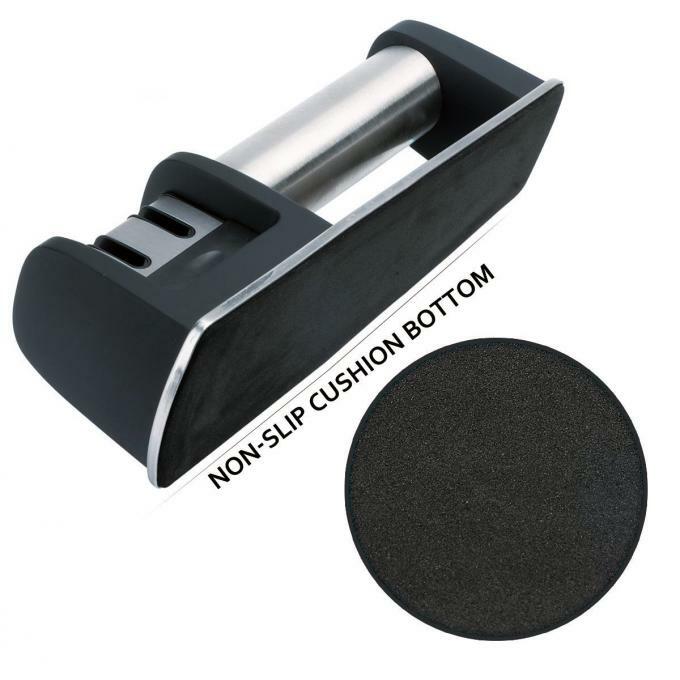 Add the NUOTEN Handheld Kitchen Knife Sharper with Finger Guard to your cart today.